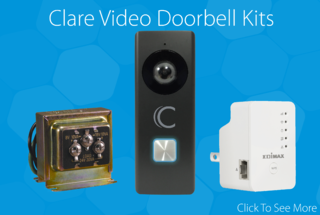 Clare Video Doorbell Kits are now available to match your installation requirements. 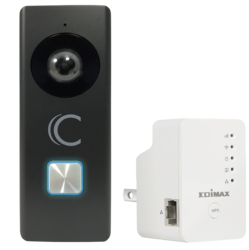 The Wi-Fi Kit is designed for projects where the video doorbell does not have enough signal strength or is out of range of the homes Wi-Fi. 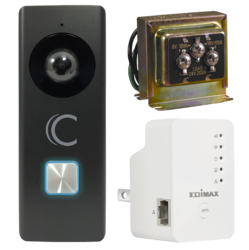 The Plus Kit is available for use in homes that do not have a transformer and need to boost their Wi-Fi signal strength for a successful doorbell installation. Both the Wi-Fi Range Extender and Transformer are available for individual purchase. Wish to know more? Visit our Clare Controls Knowledge Base for additional resources, technical documentations, how-to's and much more!